The Lord blessed me with a tremendous opportunity to make a difference in the lives of a few of those poor and hungry. 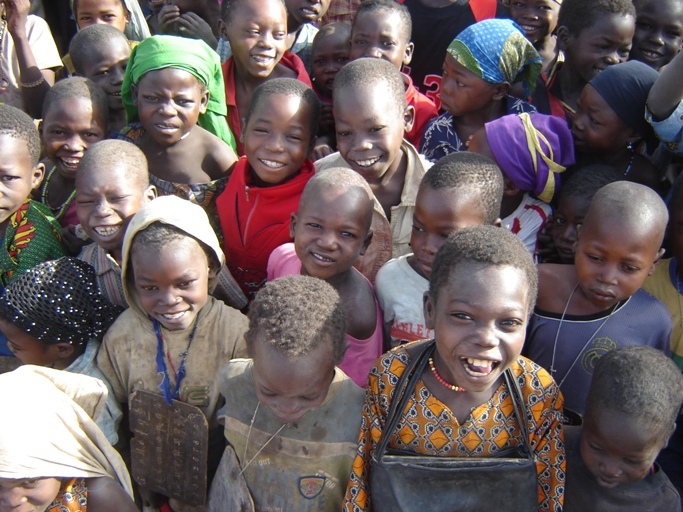 There is not a day that goes by that I don’t think of our 41 orphans at our orphanage in Dono-Manga, Chad. When I do I am also thankful for 7 ladies who fully or partially sponsoring 7 of our children. One of those ladies sponsors 2 children. They have become mothers to the motherless. 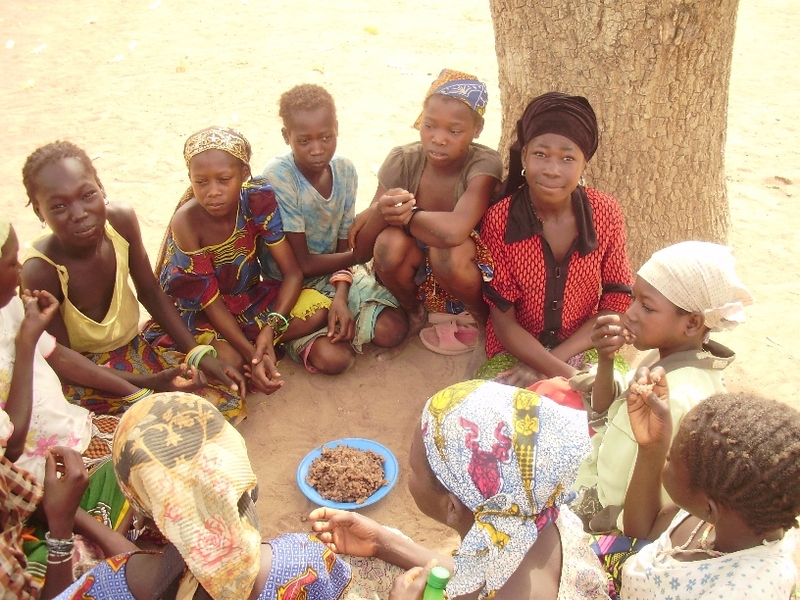 In fact until sponsors can be found for the remaining 34 children, the money these ladies give enables us to provide at least two meals per day for all of our children. I don’t know how you would respond to the three questions above. I know how these ladies have responded. I am thankful and proud of them. I know God is and I am betti ng their grandchildren will be too! If you would like to join these ladies (and you don’t have to be a lady), and sponsor a child it is simple. Full sponsorship is $100 per month; joint or ½ sponsorship is $50 per month. Just drop us a note at Hope Springs International, 118 Wessington Place, Hendersonville, TN 37075, or email us at: hopespringsinternational@yahoo.com and let us know your intentions. I love what was the Apostle Paul said about David in Acts 13:36, “After David had done the will of God in his own generation, he died and was buried.” NLT. O Lord, what an amazing opportunity you have spread out before me—a chance to make a difference for you in a desperately hurting world. Help me to see the needs you want me to see, to react in a way that honors you, and to bless others by serving them gladly with practical expressions of your love. Help me be Jesus’ hands and feet, and through your Spirit give me the strength and wisdom I need to fulfill your plan for me in my own generation. In Jesus name, Amen. Categories: Chad, Children, Dono-Manga, Orphanage, Orphans, Poverty, World Hunger | Tags: Chad, Children, Dono-Manga, Orphanage, Orphans, World Hunger | Permalink. In late January of this year we told you that due to recent terrorist activity in Nigeria, government officials had closed of all Nigerian’s boarders. ( Click here to read that report.) Medications for our Health Center were being secured through our contact, a Christian medical doctor on the teaching staff of a major training hospital in Nigeria. The closing of Nigerian’s boarders had a devastating impact on our Health Center in Dono-Manga, Chad, eventually resulting in its closure due to running out of medications. The supply line from Nigeria was initially set up because we were able to purchase medications at a greatly reduced cost through our contact. Retail prices for the same medications in Chad were over seven times the cost we were paying in Nigeria. We immediately began to plan for a team to travel to Dono-Manga by air with supplies to reopen our Health Center. We told you of this pressing need and your response has been so encouraging. We are excited to announce we now have sufficient funds to send our Director of Operations, Rambi Ayala and Dr. Eni to Dono-Manga with sufficient supplies to restock our Health Center. We have also tasked them with the responsibility of establishing arrangements with a Chadian Pharmaceutical company to enable us to purchase medications at a reduced price. The people we are serving are the poorest of the poor and without this Health Center would just die at home without the hope of treatment. Before this situation arose our Health Center was treating over 1000 people per month! Hundreds of lives have been saved, many of them children under the age of 5. We don’t have words to adequately express our deep appreciation to those of you who responded to this special appeal. Our team will be on their way in the very near future and we look forward to bringing you news when they return. We asked that you join us in prayer for the success of this critical mission. Here is just one story of hundreds that we could share about the value of our Health Center. Categories: Clinic, Dispensary, Dono-Manga, Emergency Relief | Tags: Dispensary, Emergency Relief, Life Saving Drugs | Permalink. On Saturday March 3rd. we did a test drill with our new well drilling rig. I am excited to report that this new unit met and surpassed our expectations. While we did not drill a well we drilled a test hole of about 16 feet. We encountered rock soon after the test drill began (approximately 8 feet of rock). The diamond bit cut through this rock layer with no difficulty at all. In Chad there is minimal rock to deal with as it is a marsh, sandy type soil, much like southern Alabama and Florida. 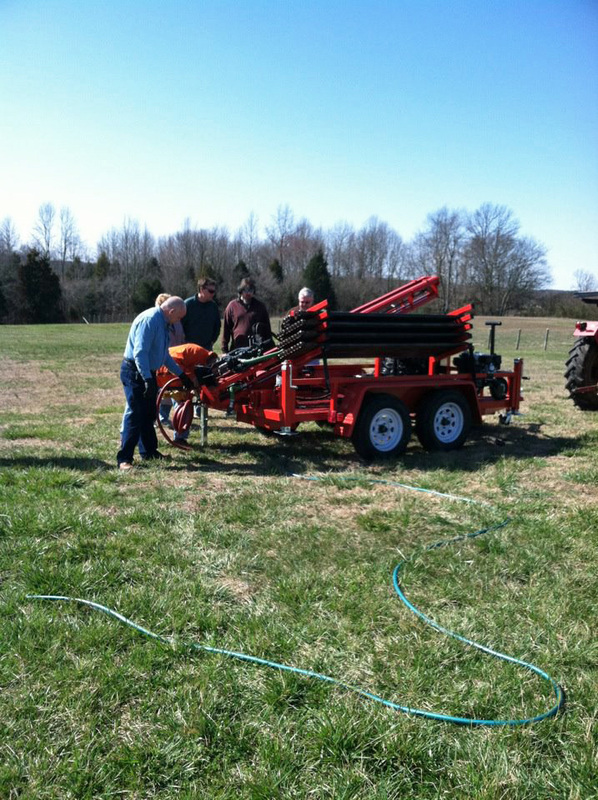 This trailer mounted rig has the potential to drilling hundreds of deep water wells. We estimate it will cost about $10,000.00 to ship this unit to southern Chad. The shipping container will cost an additional $2,600.00. The sooner we can get this unit to Chad, the sooner we can begin opening new wells. Small unit to be donated by Hydra Fab Inc.
application in Chad. Tim surprised us all by telling us that he and Charlotte are going to donate one of their small rigs when we get ready to ship everything to Chad. They also pledged that they will provide a supply of spare parts for the machines as well, all at no charge. God truly blessed us in leading us to this company. Presently they have over 100 of their units now drilling wells in Africa. The average cost of drilling a well in Africa is from $5,000.00 to $8,000.00. 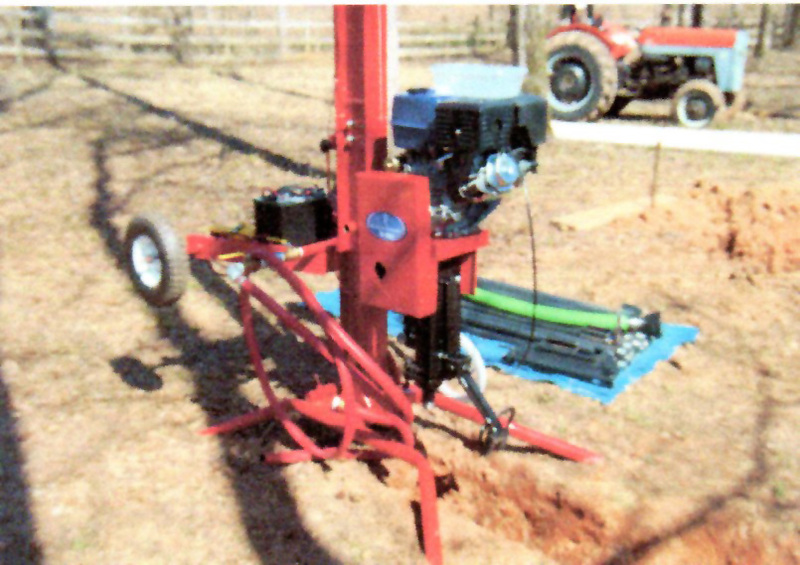 With our new machine we estimate that the cost of a well will run between $2,000.00 and $3,000.00, possibly less. Each well will meet the needs of about 1500 to 2000 people. A well reduces dramatically the 50% infant death rate in children under the age of 5, and reduces sickness and disease in village populations where 60% will be sick numerous times during the year because there is no safe water available. Help us get these new units to Chad. Send your gifts to Hope Springs International, 118 Wessington Place, Hendersonville, TN 37075, or donate online at: http://www.hopespringsint.com. Categories: New Wells, Well Drilling, Well Drilling Rig | Tags: Chad, Portable Well Drilling Rigs, Water, Wells | Permalink.